Preheat oven to 180°C (350°F). Place the flour, coconut, brown sugar, cocoa and butter in a medium bowl and mix to combine. Press the mixture into the base of a lightly greased 11cm x 26cm loaf tin lined with non-stick baking paper. Cook for 12–14 minutes or until lightly golden brown. Set aside. To make the caramel filling, place the golden syrup, butter and condensed milk in a small saucepan over low heat. Cook, stirring frequently, for 6–8 minutes or until the butter is melted and the mixture is thickened slightly. Pour the mixture over the base and cook for 12–14 minutes or until golden brown. Set aside to cool slightly, before placing in the refrigerator for 1 hour or until cooled completely+. Remove the slice from the tin and place on a serving plate. Top with the banana and trim to size. Sprinkle with the white sugar and use a kitchen blowtorch to brûlée the top. Set aside to cool before slicing to serve. Serves 6–8. 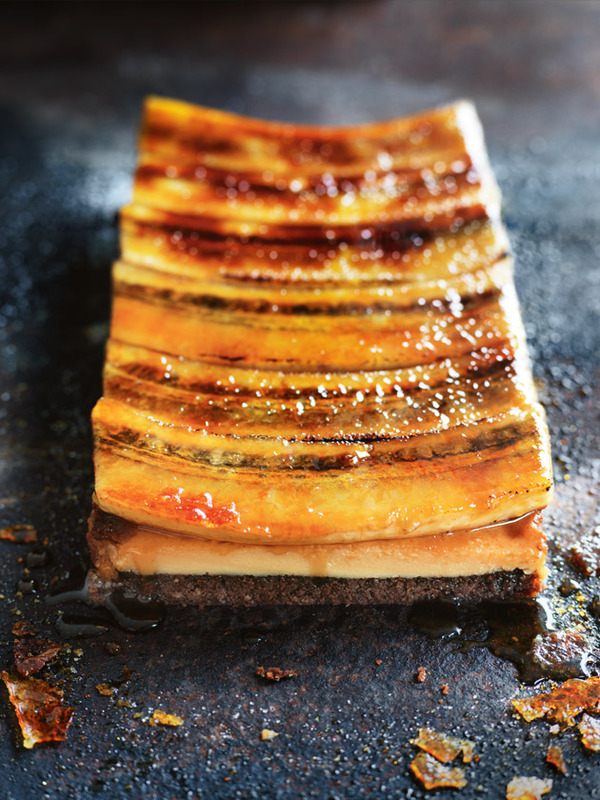 + At this stage, you can keep the slice in the fridge for up to 4 hours, then add the banana and brûlée before serving.